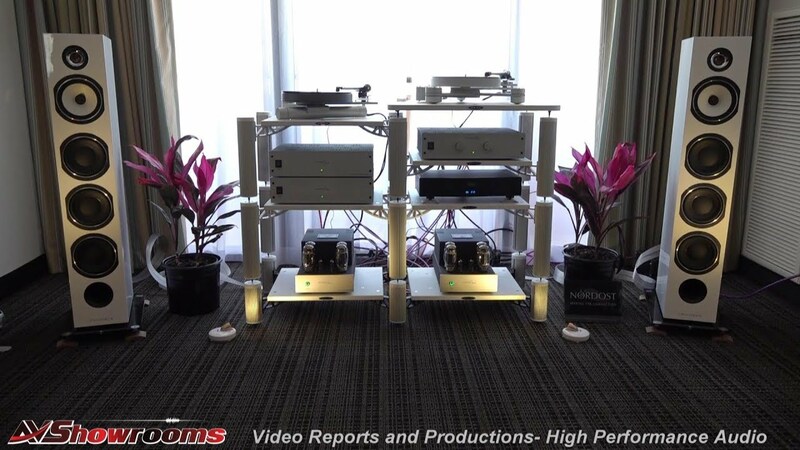 The Los Angeles Orange County Audio Society and Show organizer Richard Beers set out to find T.H.E. SHOW Newport a new and better home for 2015 and the result is a home run. 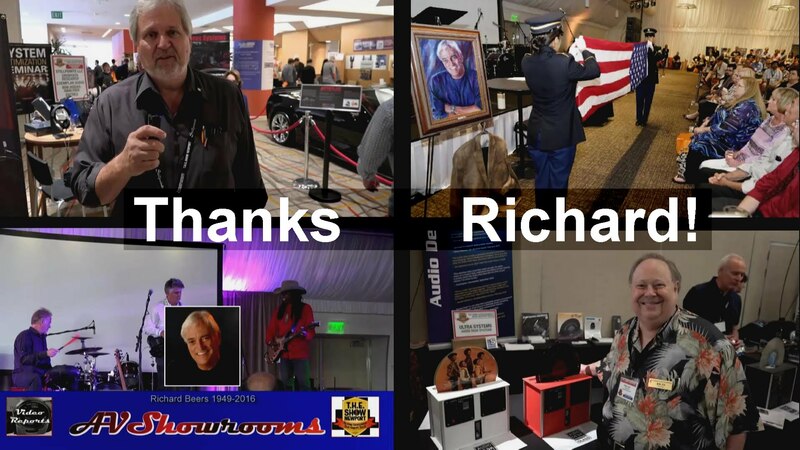 The new venue, The Hotel Irvine in Irvine CA., minutes from the John Wayne airport, has just about everything needed to host this spectacular event. Newly renovated, the hotel provides exhibitors and attendees with good food and a great lobby for socializing. 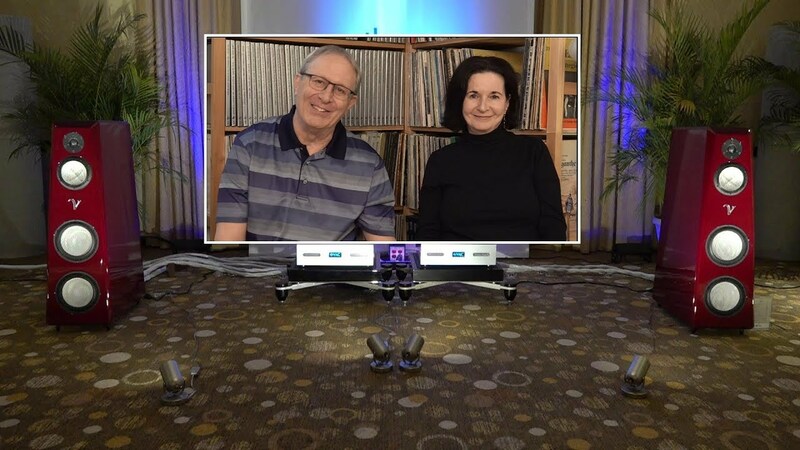 T.H.E SHOW supplied us with entertainment in the lobby that included singers Anne Bisson, Lyn Stanley, Antonia Bennett, Fiona Joy, Audra Lee along with a couple of surprises that remain unnamed. Poolside, we were entertained by the talented Larry Mitchell and Dean Peer and more. T.H.E. SHOW was a festival; a collection of creatives, enthusiasts and music lovers. A celebration of music, live and not. 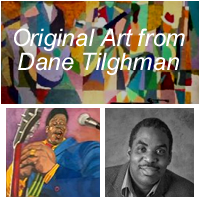 Designs, artwork, cars, cigars, wine and food trucks. Hospitality suites sponsored by Positive Feedback (music and good whiskey), The Los Angeles Audio Society, and none other than the NFS folks who trucked in from Las Vegas with gear, beverages and lighting in tow to host in two rooms. So, all said, it was like working a party for four days. However, the best I saved for last, that is, T.H.E. SHOW Newport provided us with VERY. GOOD. SOUND. 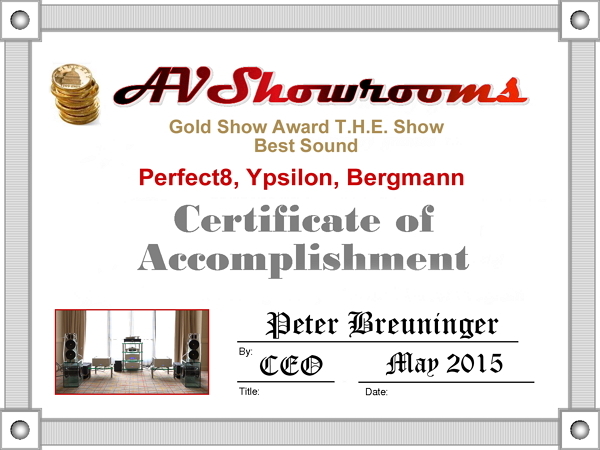 Yes, and AVShowrooms for the first time in its four year history, is bestowing upon eight rooms a Gold Show Award for Sound. Six is usually our max, and we spent many hand-wringing moments attempting to keep it that way, but to no avail. Audio Skies. 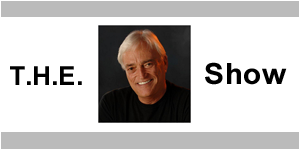 Michael Vamos, proprietor, is a relative newcomer to the shows, but you’d never know it by the the sonic results in his rooms. 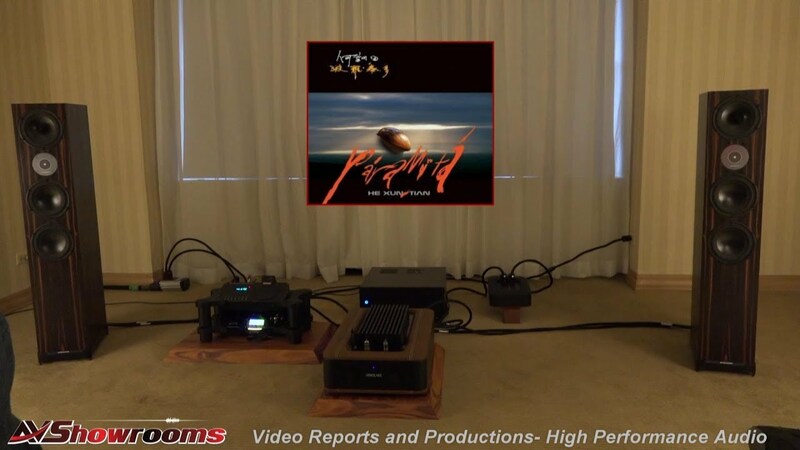 At this show, his exhibit room with the Larsen loudspeakers – easily one of the best for palpable realism. 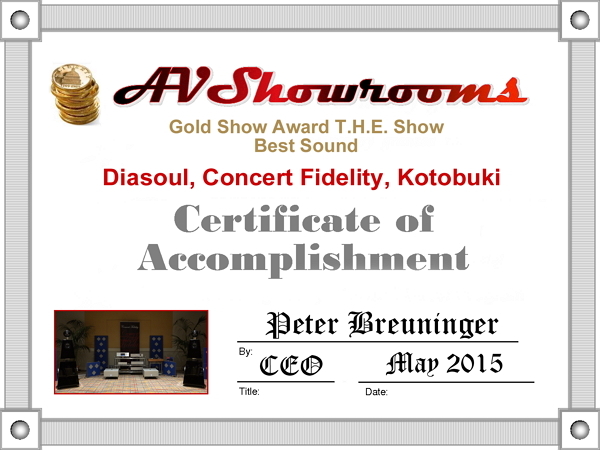 Diasol with Concert Fidelity was an absolute treat on the last day of the show. Beautifully integrated sound and every note rang clear as a bell. 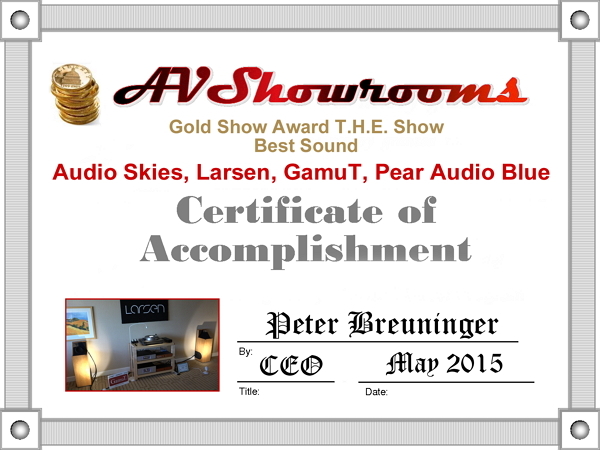 Would love to have these speakers and electronics in the AVShowrooms’ listening room in 2016. 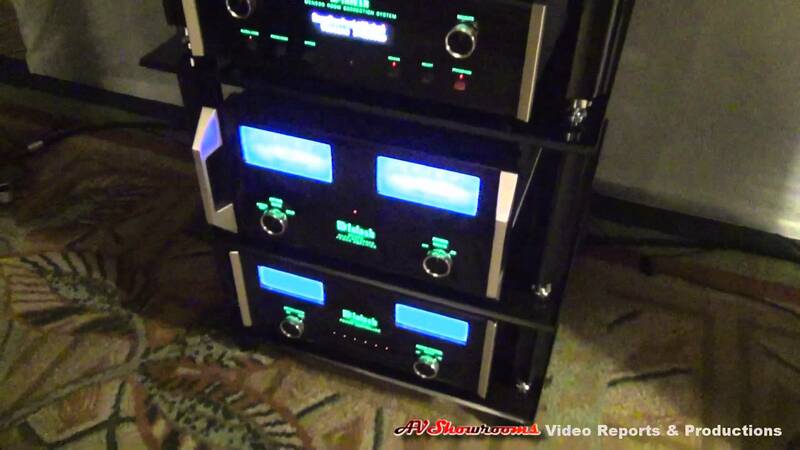 EAR electronics with Marten loudspeakers. 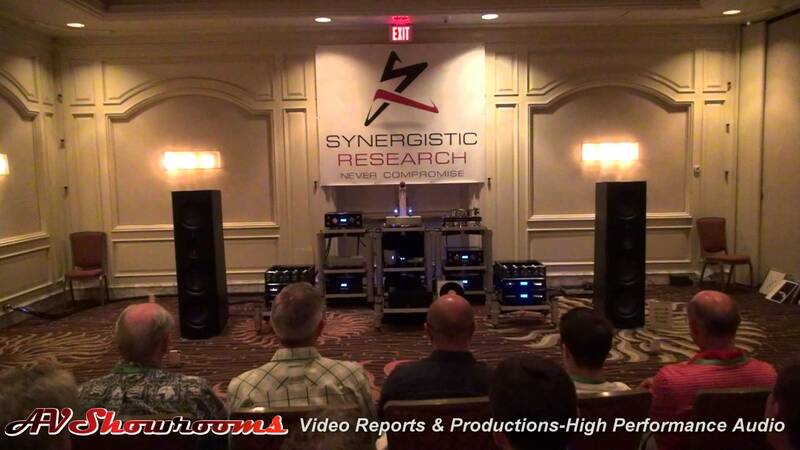 The room had a buzz at the show and when I stopped to listen I understood why. 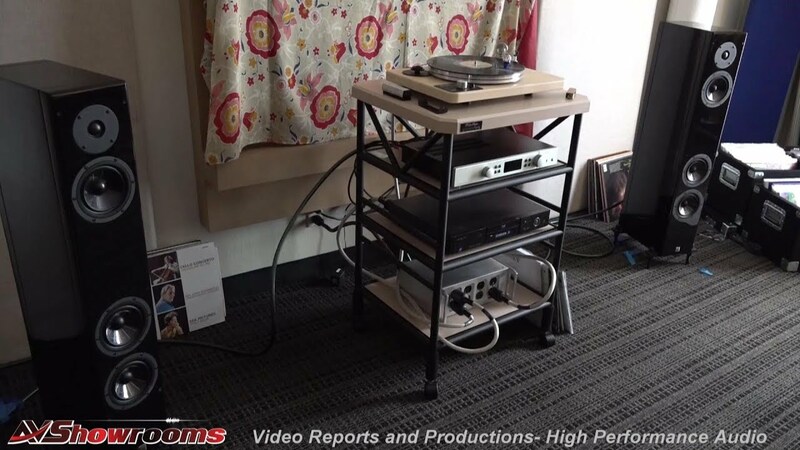 An effortless sound, sort of like the system was set up in this exhibit room for years and maintained a relaxed and non-fatiguing sound in its environment. Outstanding, Dan, and kudos for such an achievement. 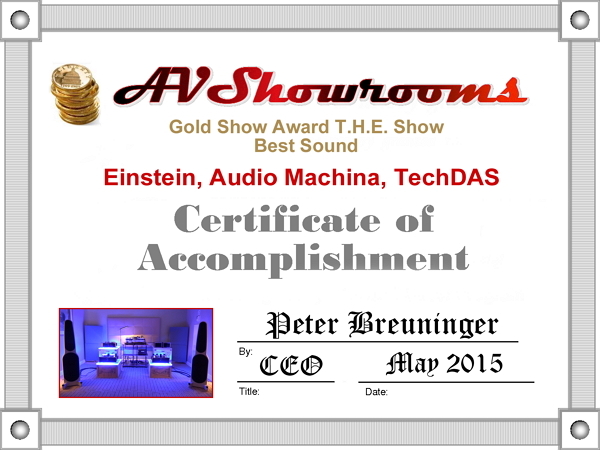 Einstein, Audio Machina and TechDAS is a winning combo every time, but the bar was raised in the Einstein room in California, this year. Check out the video. 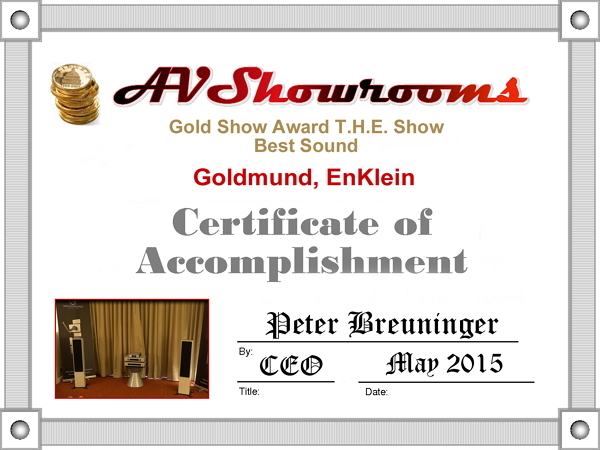 Goldmund with EnKlein another winning pair. It was as if a symphony orchestra was in the room. Award winning sound and truly deserving of a Gold Show Award. GTT Audio. Once again, Bill Parish along with Joe Kubala of Kubala Sosna made the GTT Audio exhibit room sing to the tune of a Gold Show Award! 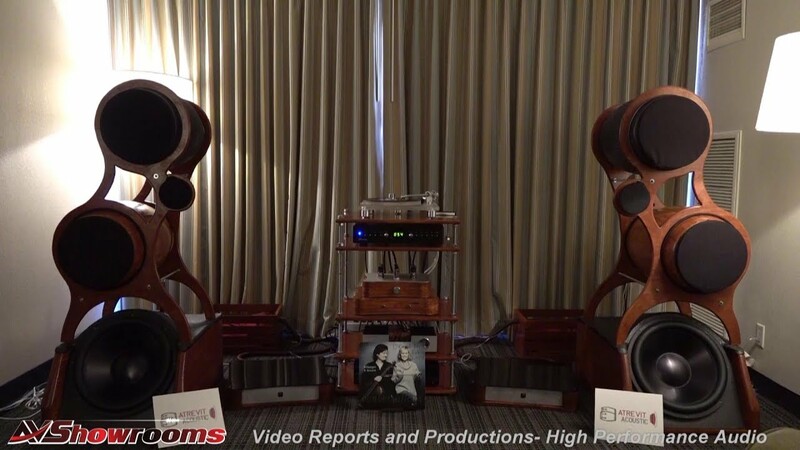 The room included all of the consistently great sounding products including the outstanding Audionet electronics and the extraordinary Kronos turntable. Blasting some of the best Led Zepplin I’ve ever heard brought people from the halls into the room. ModWright with TAD and Stillpoints. Wow! Dan, I know your designs keep improving, but the sound here was amazing. 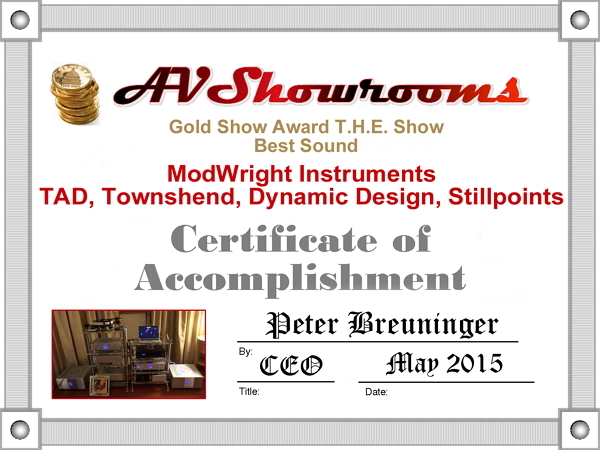 ModWright Instrument’s electronics compete with the top-tier companies, no doubt about it. Perfect8 The Point. Oh, those images in space! The Vanessa Fernandez track “Here but I’m Gone” was killer; however, maybe we should have played Carly Simon’s “Nobody does it Better” in tribute. This was the best sounding show I’ve attended this year.